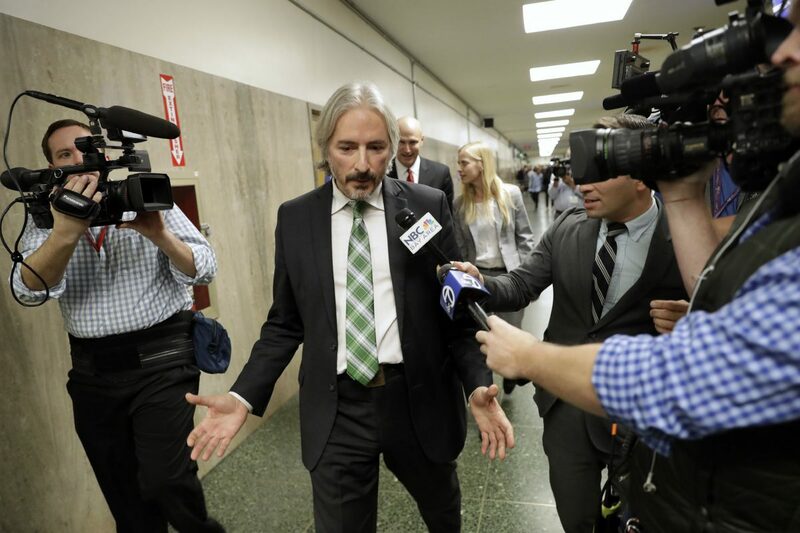 In this Oct. 23, 2017 file photo, Matt Gonzalez, chief attorney of the San Francisco Public Defender's Office, speaks to reporters at a courthouse in San Francisco. Gonzalez, the San Francisco defender who represented Jose Ines Garcia Zarate, is a veteran of the city’s criminal defense bar and its politics. A jury acquitted his client of murder and involuntary manslaughter Nov. 30, for the shooting death of Kate Steinle. The shooting sparked a national debate over immigration policy. A jury in San Francisco rendered a controversial verdict Thursday by acquitting a Mexican man accused of killing a San Francisco woman, an incident that sparked a national debate on immigration and “Sanctuary Cities.” Matt Gonzalez, one of the defense attorneys and a McAllen native, said the immigration issue is more complicated than people realize. The shooting of Kate Steinle by Jose Ines Garcia Zarate, a Mexican man who was in the country without proper authorization, occurred in 2015 and caught the attention of then-presidential candidate Donald Trump who used the issue to push for a wall along the Mexican border. Garcia Zarate had been deported five times and was wanted for a sixth deportation when he shot Steinle. To Gonzalez, the case was straightforward and it was clear to him that the killing was accidental. However, he said it would be a mistake to enact laws based off of one incident. “You don’t typically make good law by focusing on one incident to try to draw public policy conclusions from,” he said. 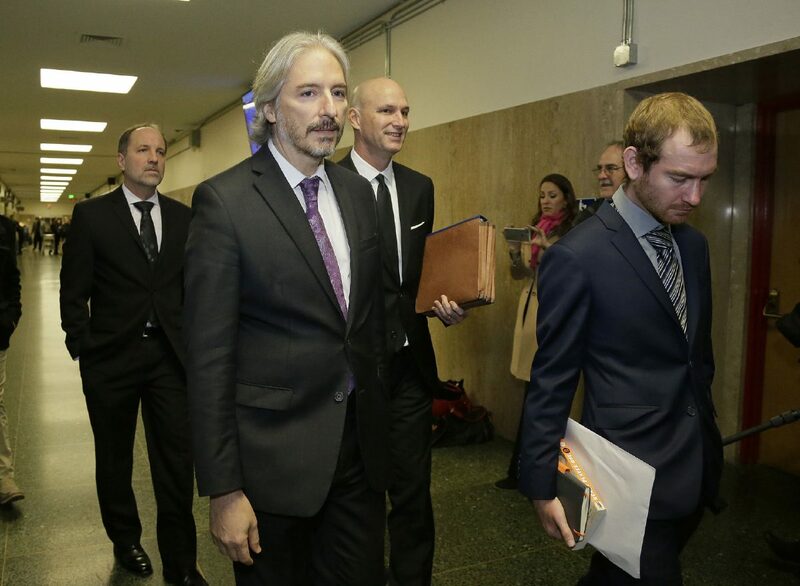 Matt Gonzalez, second from left, chief attorney of the San Francisco Public Defenders Office, walks to a courtroom Monday, Nov. 20, 2017, in San Francisco. Attorneys are set to begin their final arguments Monday in the trial of Jose Ines Garcia Zarate accused of killing a woman on a San Francisco pier in a case that touched off a national immigration debate. 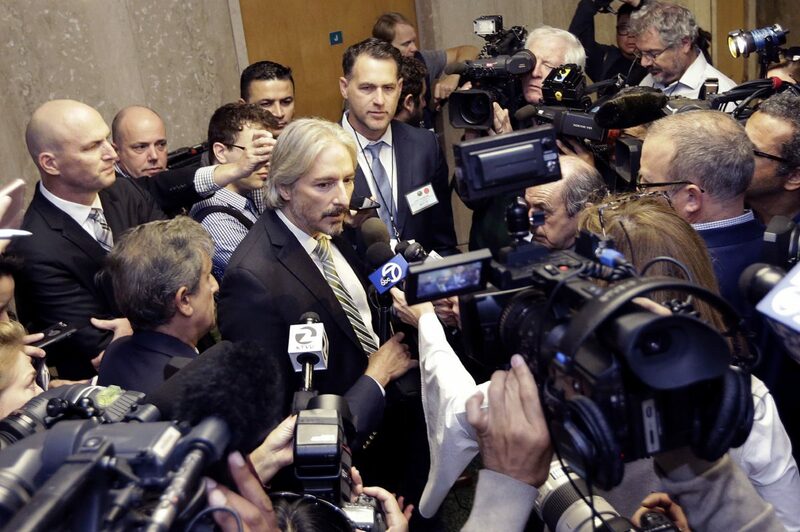 In this Thursday Nov. 30, 2017 file photo, Matt Gonzalez, chief attorney of the San Francisco Public Defenders Office, center, fields questions after a verdict was reached in the trial of Jose Ines Garcia Zarate in San Francisco. Gonzalez, the San Francisco defender who represented Garcia Zarate, is a veteran of the city’s criminal defense bar and its politics. A jury acquitted his client of murder and involuntary manslaughter for the shooting death of Kate Steinle. Gonzalez is the chief attorney of the San Francisco Public Defender’s Office, earning his Bachelor of Arts degree from Columbia University in 1987 and his Juris Doctor degree from Stanford Law School in 1990. However, he said his parents continue to reside here and thus visits every year. His experience growing up here, he said, has informed his perspective on all the legal work he’s done. Gonzalez added that he didn’t believe people understood the multicultural and economic complexity of these issues. “So someone, when they get upset at the thought of somebody coming to the United State without documentation and illegally, quote, unquote, they’re not thinking that that’s the only reason they don’t pay more money for their food or why certain jobs get done,” he said. Much of the criticism surrounding the case stemmed from San Francisco’s status as a sanctuary city, meaning authorities don’t have to comply with federal detainer requests from Immigration and Customs Enforcement officials. However, Gonzalez said the idea is not that cities are defying federal law, but instead, federal courts have said there should be probable cause before someone is held in jail. “And so it’s really not cities defying federal law, it’s federal agencies like ICE and Homeland Security that are defying the law,” he said. So while he argues the issues around immigration are complex, the pushback by federal agencies against sanctuary cities, he said, is not.